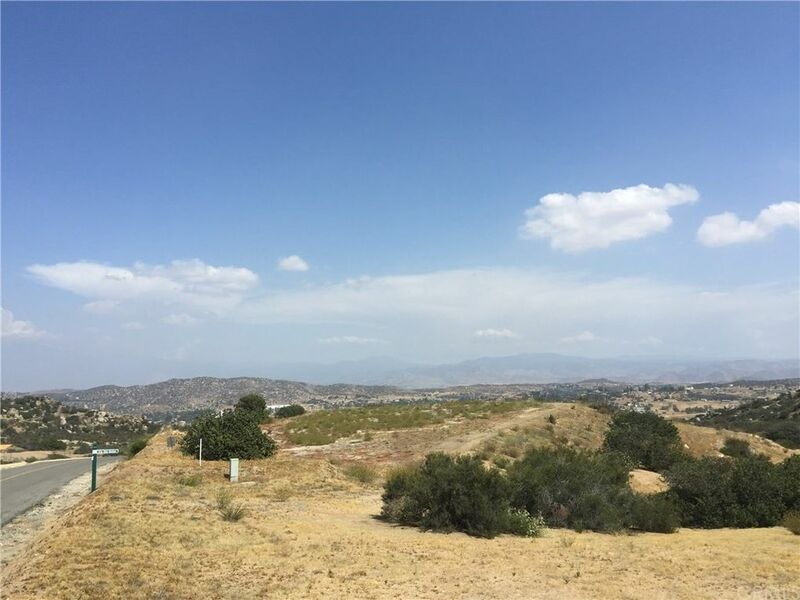 FIVE+ (5.22) VIEW ACRES in PRIVATE, GATED THE RANCH AT SKY MESA , Southwestern Riverside County, the fastest growing County in Southern California. Lot 15, tract 1. pie shaped graded lot with large frontage. 780'+- East boundary, 758+- West boundary. Eastern Municipal Water District. Propane and septic tank area. Underground Southern California Edison utilities in recently repaved streets Unique views of the valley, mountains and Diamond Lake. Four horses allowed. Horse arena in twelve acre common space. Miles of trails surrounding well hidden location. The only gated community in area. 2800- sq ft+ custom homes and 3 car garage minimum. NO mobile homes allowed, insures higher future equity. 2500'+ elevation provides clean fresh air with occasional snow flurries in winter. 500 acre HOA, prestigious community with only 77, five (5)+ minimum acre lots. High tech SECURITY cameras at North and South entrance gates allows for maximum family security. Conveniently buzz quests in your beautiful community from the convenience of your estate! New construction and development surrounds this very unique & private area. The Villages of Lakeview just North of this community is ready to go. This will bring additional residences, shopping, and services. Easy commute to the Ramona Expressway, Highway 74, realigned Hwy 79, I-215, I-15, the I-10 & 60 Freeways. Leading to all of Riverside, San Bernardino, Orange, San Diego and Los Angeles Counties! PRESTIGIOUS COMMUNITY!Must see!